Suburban Oak Lawn wasn't one of the communities that received serious damage during Sunday's rash of severe storms and tornadoes, but some residents are concerned that the emergency warning system was inadequate. The town used to use a traditional tornado siren to warn of severe weather, but recently replaced its aging, 35-year-old warning system with a new, digital warning system that transmits a tone, followed by messages in four different languages. But many residents took to Facebook to vent their frustrations that the emergency system didn't work as planned on Sunday. "You had to physically leave the house to find out not only why they was going off, but what the announcement was. By that time I think it’s personally too late," resident Tom Mica said. 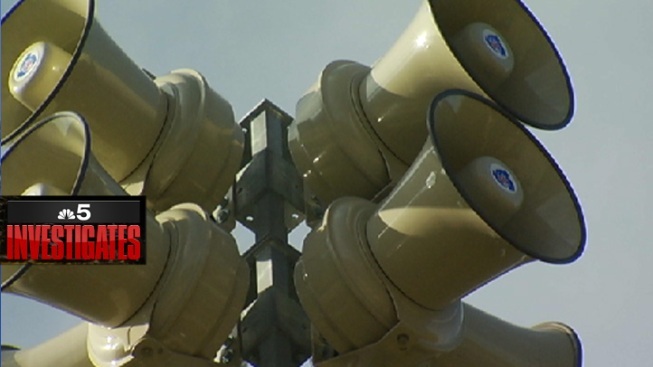 Officials say the sirens are designed for people who are already outside, but are listening to the public, and are planning to change the alarm sound. "It was obviously a big transition for people who are used to hearing the old traditional siren to now hearing the tone and then hearing the voices," said Cmdr. Arthur Clark of the Oak Lawn Emergency Management Agency. "We’re recording a new message to sound just like a traditional siren system." Oak Lawn wasn't the only place in the state where residents believe the emergency system failed them. Dave Frawley wasn't home when his Manhattan, Ill., warehouse was destroyed, but he says his family could barely hear the siren. "They probably could use ... a few more spread out so then people would be more aware," Frawley said. Manhattan officials could not immediately be reached for comment. State emergency officials say there's a number of reasons why residents are unable to hear sirens, including high winds, and point to the benefits of indoor weather radios and text message alerts as another way to stay informed in case of severe weather.